Rating agencies downgrade Sri Lanka to junk status? Sri Lanka was downgraded from B1 to B2 by Moody’s Credit Rating and Standard & Poor’s Ratings and Fitch Ratings also downgraded Sri Lanka from B+ to B. When a country is downgraded in this manner, the interest rates go up on loans it obtains. 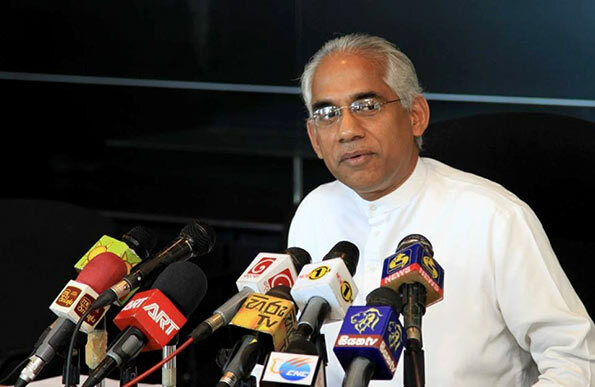 During the October political crisis the International sovereign Bond rates had increased by 173 basis points, said the State Minister of Finance Eran Wickramaratne in Parliament yesterday. Joining the budget debate, he said that while the financial loss of the coup could be calculated, its adverse impact on the economy could not be gauaged; many investors, both local and international, had pulled out and many tourists had cancelled their visits, he said. “When Minister Mangala Samaraweera presented budget 2019, everyone was shocked because he had managed to grant relief for all sectors, despite the crisis period we had to overcome. We managed to reduce the budget deficit from 7.7% to 5.3% by the end of 2018. Ideally, it should have been less than 5 but due to the drought in 2017, we could not reach that target. However, in 2019 we intend to bring it down further to 4.5%. 2 Responses to Rating agencies downgrade Sri Lanka to junk status? This want surprise me folks. Some times I wonder why the country want go bankrupt like Greece. What else can you expect when the King’s chair is occupied by a power-hungry, dictatorial cut throat? Hoe does not care my dear Citizens, he cares only about his Chathurika and his Brother and Kili Maharaj.